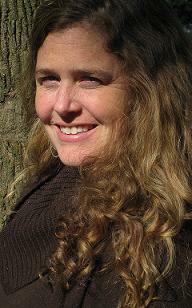 Susie Snyder, LCSW is an Assistant Professor at the School of Social Work at Portland State University. She also maintains an active private practice providing counseling, supervision, agency consultation and training. She has a background in community mental health and in school-based social work and currently works with children, adults, couples and families. Susie has provided workshops throughout the United States in a range of topics including Clinical Supervision, Narrative Therapy, Play Therapy, Working with parents and families, Solution Focused Therapy, Advanced Empathy, and Integrative Approaches to Working with Trauma. Julie Prindle, Ph.D., LCSW has focused on adolescents and families in various settings throughout her career as a social worker: homeless shelters, counseling, wilderness therapy, and schools. She spent 9 years working as a school social worker and had the wonderful opportunity of co-developing an alternative high school in Portland. Julie feels passionate about the work that can unfold in schools by social workers. She sees the value of their services in supporting and empowering youth, families and the entire school community. For the past four years she has taught Social Work in Schools as an adjunct at Portland State University’s Graduate School of Social Work and enjoys supporting new school social workers as they enter the field. Julie recently completed her Ph.D. with an emphasis in clinical teaching and supervision practices. She currently has a private practice in Portland specializing in adolescents and clinical supervision for MSW’s seeking supervision towards their license. Ellen Baltus, LCSW serves as the treasurer of OSSWA. Ellen is a licensed clinical social worker who has been working in school systems for over 20 years. She has worked as a Child Development Specialist in the Portland Public Schools and is presently employed in the North Clackamas School District. Prior to working in the schools, Ellen worked for the Department of Human Services in Washington County as a caseworker and a juvenile court liaison. Ellen has received numerous recognition awards from her district, community organizations, and the state for her efforts at building programs with community and school members to increase protective factors and safety for students and their families in her district. In 2012, Ellen received the “Champions for Children” professional award at the Child Abuse and Family Violence Summit. Neha Hertzog, Ph.D., CSWA and Kaija Daniel-Hoffman, CSWA are currently licensed school social workers serving the Beaverton School District. Neha graduated from Portland State’s MSW program in 2015, and Kaija graduated from the same program in 2013. Mary Krogh, LCSW LSSW. Mary has been an active member of OSSWA for the past six years. Her various roles in schools include working for the Multnomah County Touchstone Program for nine years, managing an ESL Welcome Center, serving as the District Ombudsman and her current role as an Attendance Analyst in two North Portland elementary schools. Mary is passionate about the importance and critical role that school social workers play in the lives of Oregon’s most vulnerable students and their families. She currently supports OSSWA on legislative issues and organizational correspondence. Please note that I am an Oregon licensed clinical social worker, who has worked in K-12 schools for the past thirty years. I am also a certified pupil personnel supervisor in both Florida and New York. Finally, I have my professional educator’s certificate for K-12 Exceptional Student Education in Florida and I also have my school social work credential with NASW, for the past 15 years. I also needed to mention that I am fully bilingual in Spanish as I speak, read and write both Spanish and English fluently.